You want sweet, but no time for complicated recipes that take several hours, then you should take note of the delicious chocolate desserts from the oven or without baking. They can be prepared in minutes, even if you are already on the threshold. 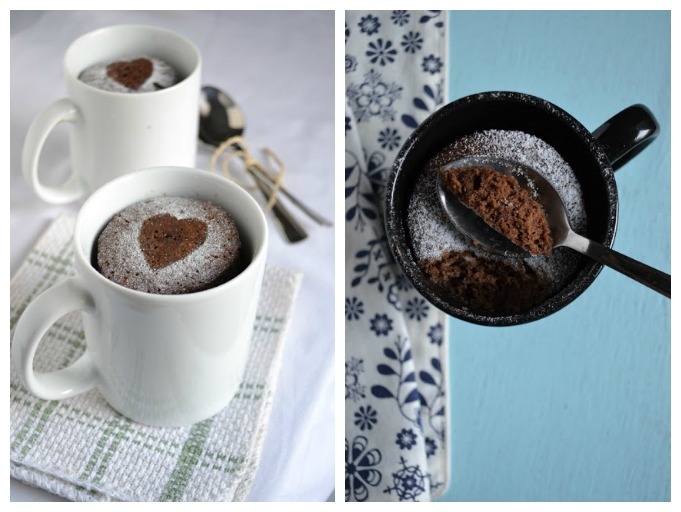 For cooking juicy muffin in a mug will need 3 tbsp flour, 1 tsp instant coffee 2 tbsp cocoa powder, milk, vegetable oil and sugar, quarter teaspoon baking powder, 1 egg, 0.5 tsp. of vanilla. Mix all ingredients together until smooth. Grease the sides and bottom of the cups with butter and pour the cooked dough. To choose the highest mode on the microwave and bake cupcake 1.5 minutes. Add before serving, a scoop of vanilla ice cream. The composition of the chocolate dessert included a Cup of sugar and flour, half Cup of cocoa powder, 150 g butter, 2 eggs and 1 tsp vanilla. 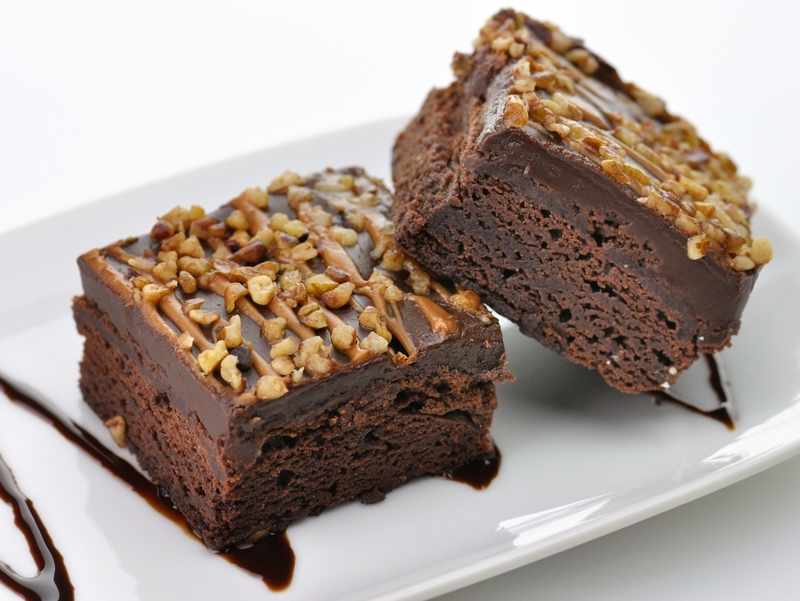 To cook brownies, enough to melt the butter and mix it with sugar, cocoa powder and vanilla. Add to egg mixture, beat slightly and fill up the flour. Choose the short form for the oven and grease the sides and bottom with oil. 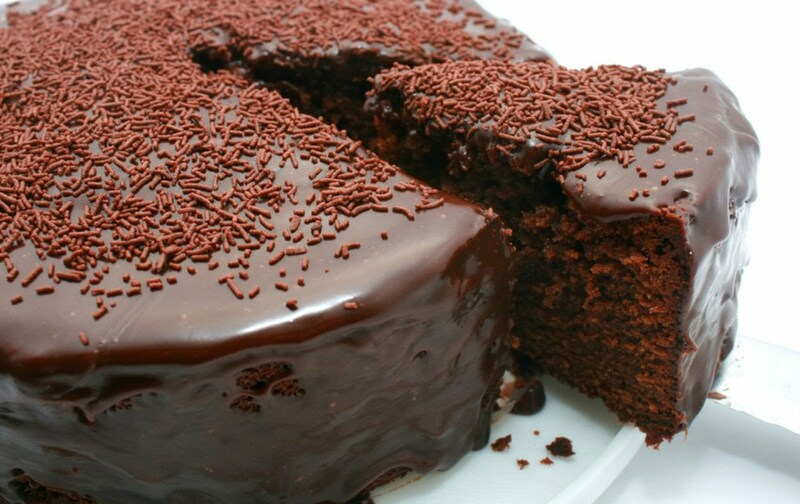 To prepare the dessert of chocolate on high for no more than 5 minutes. 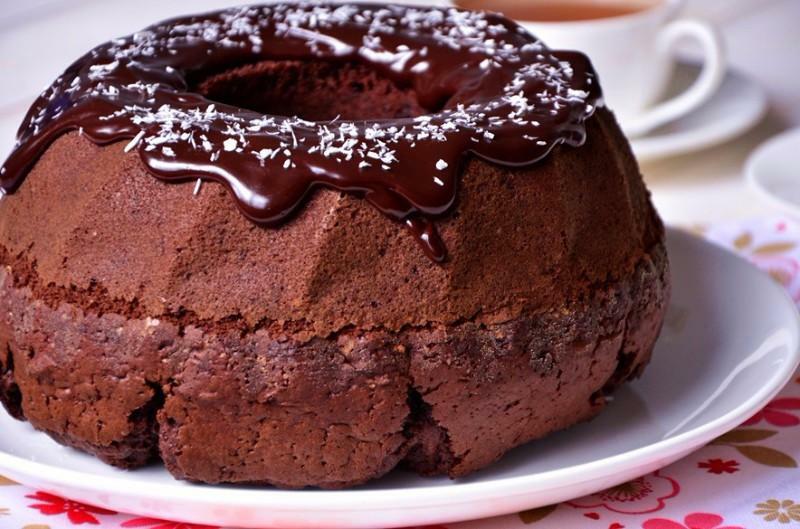 For this recipe you will need Cup of flour, tile your favorite chocolate, half Cup sugar, 50 g butter, 3 eggs, 1 tsp soda and pasta "Nutella" for promazyvanija cakes. This delicious chocolate dessert will cook in just 5 minutes, mixing melted butter with chocolate. Next, you whisk the eggs with the sugar and mix with the flour, continuing to whisk mass. To extinguish soda with vinegar and add together with the chocolate cream sauce to the dough. To put the microwave on the high power and bake the dessert no more than 5 minutes. 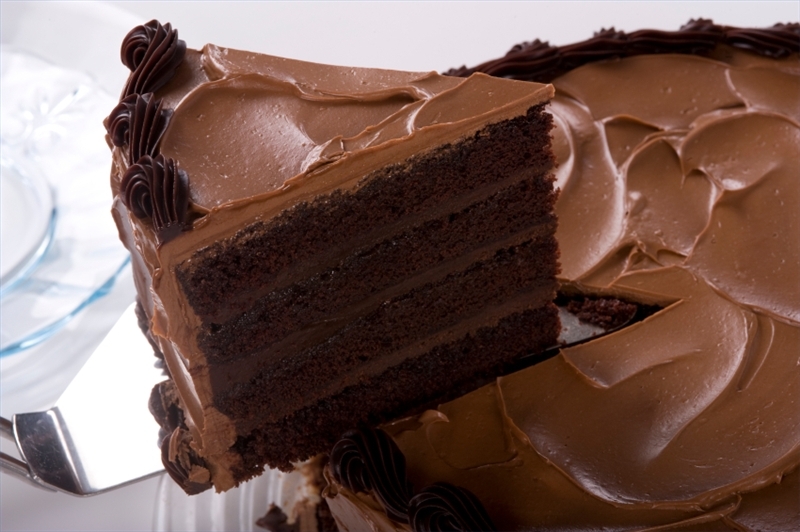 Cut the cake into layers and brush each layer, including the top of the dessert, pasta "Nutella". To cook your cake "potato" will need 300 g chocolate biscuits, 2/3 Cup of condensed milk, 100 g butter and 3 tbsp of cocoa powder. Grind cookies until fine crumbs. In another bowl, mix rest of the ingredients to a thick chocolate cream. Pour in pasta, cookies and knead the dough. 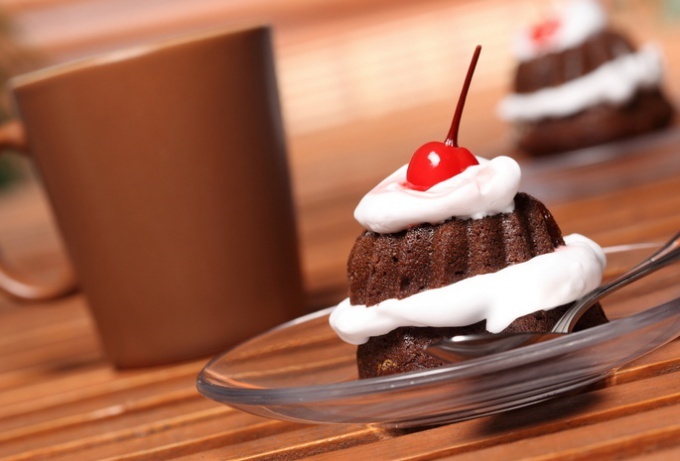 Make from the mass round cakes or a classic elongated shape and decorate the dessert with chocolate chips. 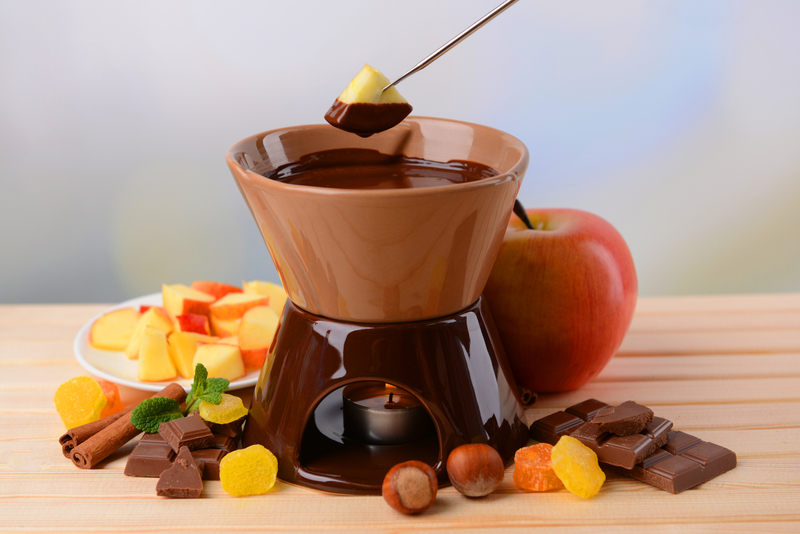 To create this unusual chocolate dessert fondue, you will need 2 tiles of your favorite chocolate, half a Cup of cream (33%) and any fruit. Melted on a water bath chocolate, mix with cream. Chop the fruits and put them on skewers for easier dipping in the chocolate sauce. For delicious air of the pie will need a Cup of flour, half a Cup of sugar, one third Cup of cocoa powder, quarter tsp salt, 1 tsp baking powder, 50 g butter, 1 egg, 4 tbsp milk and 1 tbsp vanilla. For the chocolate sauce, you must take half a Cup of cane sugar, a third Cup of cocoa powder and half Cup of water. Combine flour, baking powder, sugar, salt and cocoa powder and then pour in the melted butter and add remaining ingredients for dough. To make chocolate topping of brown sugar and cocoa powder and pour it on the dough, laid out in the form. Hot water is poured on the cake to the bottom soaked and put in the microwave for 5 minutes, selecting the most powerful mode. 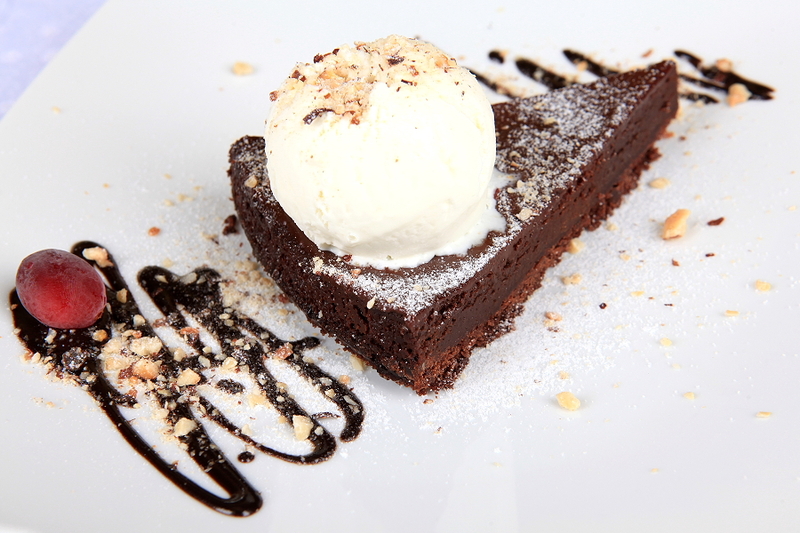 Chocolate dessert served with a scoop of vanilla ice cream. The chocolate muffin recipe included half a Cup of sugar and flour, 40 g butter, 1 egg, quarter Cup milk, 1 tsp vanilla, a quarter teaspoon of baking powder and a pinch of salt. Combine butter, sugar, egg, vanilla and milk and bring the dough until homogeneous mass. Add to the mixture the remaining bulk ingredients, stir and put the dough in a bowl in the microwave, fluff with vegetable oil. Bake up to 3 minutes on high until the cake will not rise and will start to bounce when pressed. The dessert is ready, flip and pour the chocolate topping. To prepare this chocolate dessert without baking you will need a glass of any nuts and whole-pitted dates, a quarter Cup of oatmeal, dark chocolate bar and a pinch of salt. Grind to a state of crumbs, the walnuts, add to them oatmeal with dates and finely grind the whole mass. The basis for the brownies, add the chocolate chips and salt. To form the cookies with wet hands. 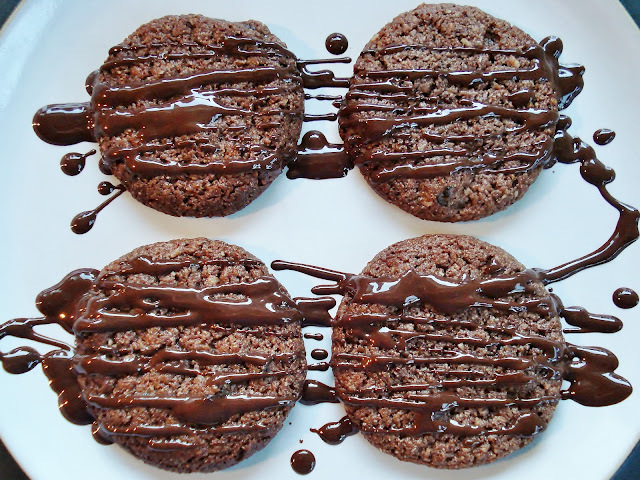 For cooking a chocolate dessert without baking you must take 300 grams of any dry biscuits, 150 g butter, 5 tbsp cocoa powder 250 g cream cheese or cottage cheese mixture, 75 g sugar powder, 2 bars of chocolate and half a Cup of heavy cream (33%). For making the cake you will need butter to melt and turn the cookies into crumbs. 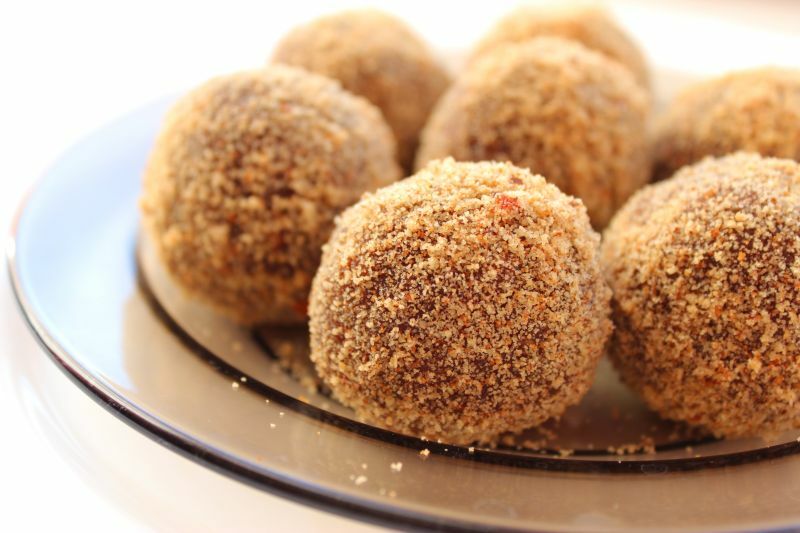 Mix butter, biscuits and cocoa powder in a bowl until smooth. At the bottom of the roasting tin greased with oil, put the cake base, firmly compacted and put in the fridge. Beat cream cheese, gradually adding icing sugar and melted chocolate. In a separate bowl whip the cream and add them to the resulting chocolate sauce, trying to keep the mixture airy. The resulting cream pour into the bowl with the cooled cake. Place the dessert in the fridge for 5 hours, and before serving, decorate with chocolate shavings, chopped nuts or cocoa powder. To prepare this special dessert of chocolate will need to take a jar of condensed milk and pasta "Nutella", 4 tbsp butter, 1 tsp vanilla, half tsp salt and 2 tiles of dark chocolate. Grease a baking pan with butter and put parchment paper in such a way that its edges hung at least 5 cm, Mix condensed milk, vanilla, chocolate "Nutella and butter and put the bowl on a steam bath until the mixture becomes homogeneous. Pour Foundation for the Fudge to the baking pan, sprinkle with salt and put into the refrigerator for 2 hours. Dry hot knife to cut the dessert into cubes. 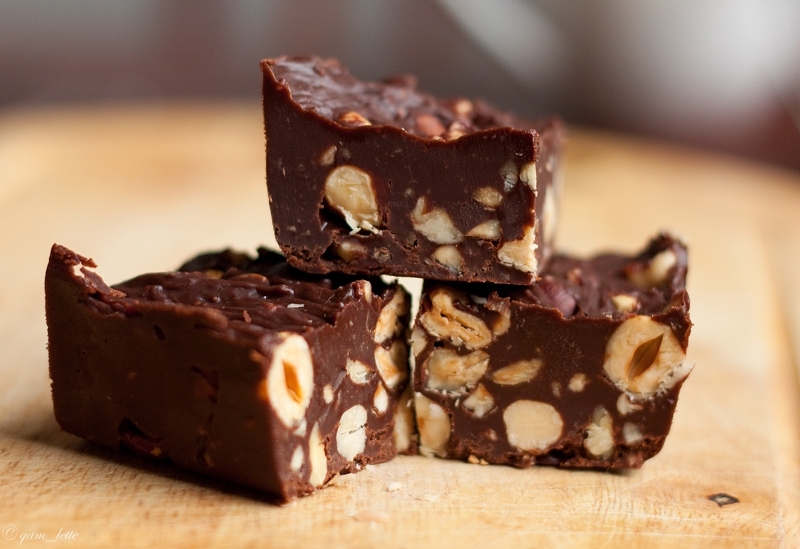 If you want you can add in the dough Fudge coarsely chopped nuts before cooling the Fudge.